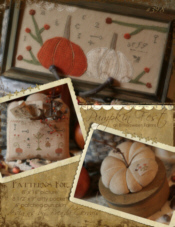 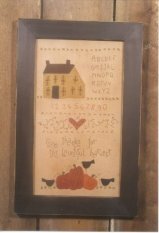 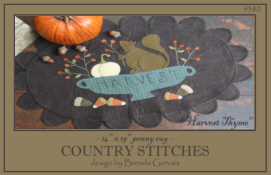 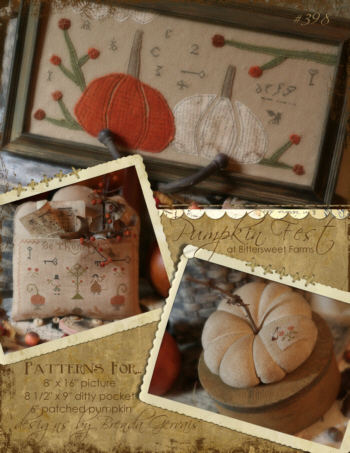 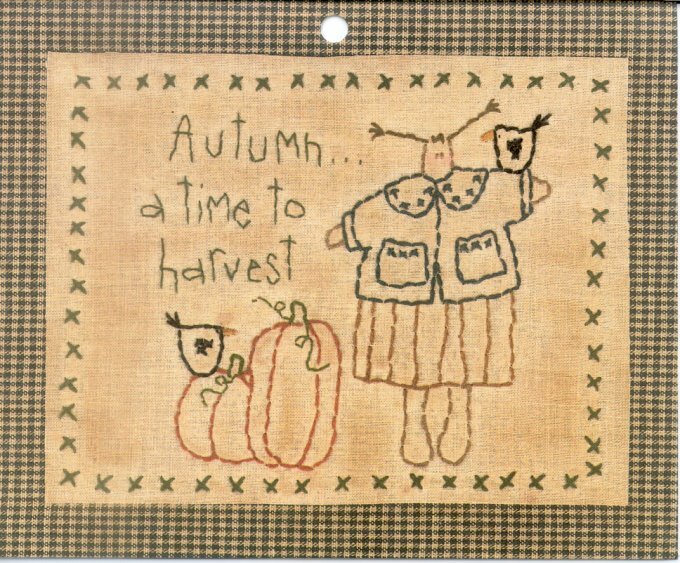 A whimsical pattern from Country Stitches! 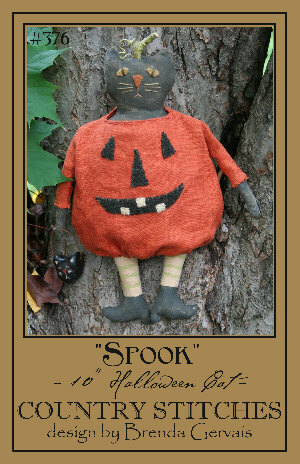 Pattern for an 8" Halloween ornament. 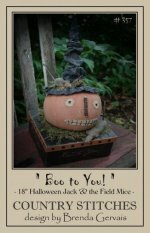 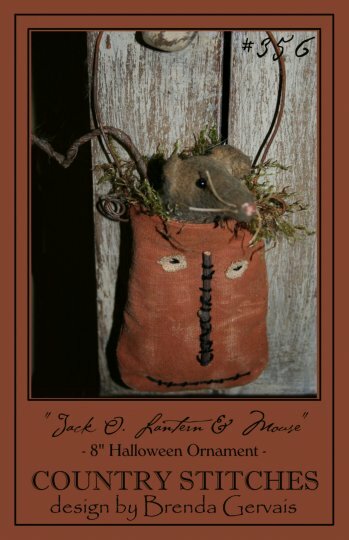 A field mouse has snuggled into an old Jack O. Lantern basket! Great to hang from a peg rack or the knob of an old cupboard door. 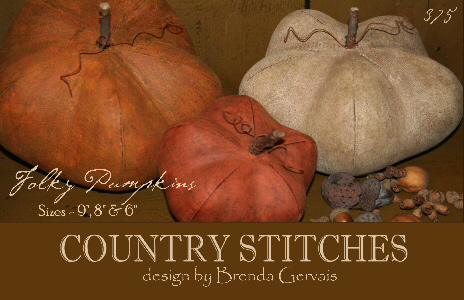 A great halloween pattern from Country Stitches! 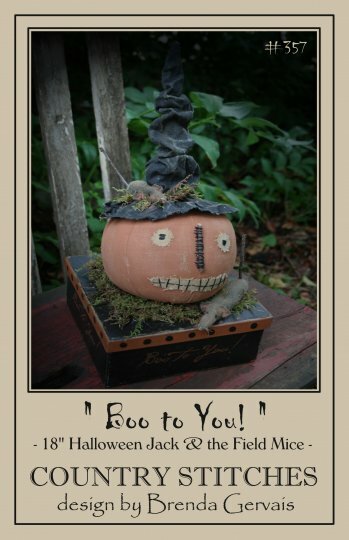 This pattern is for an 18" Jack, joined by a couple of little field mice. 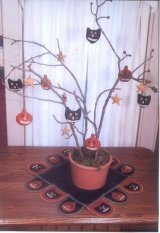 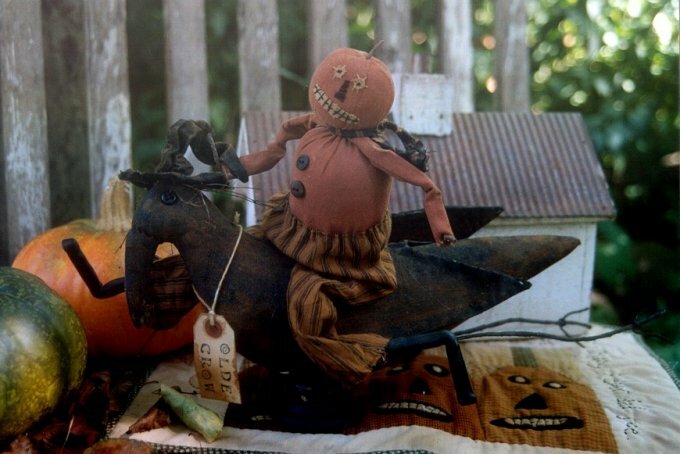 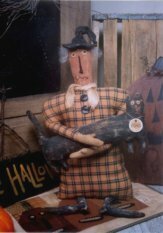 A great piece for your Halloween decorating! 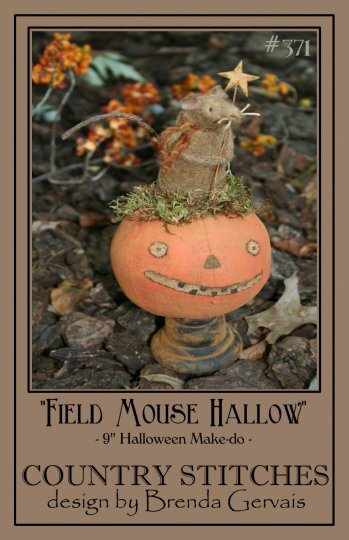 Another great pattern from the field mice series! 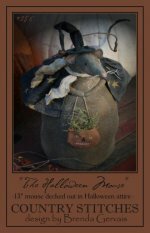 The Halloween Mouse is a 13" mouse all decked out in her Halloween costume. 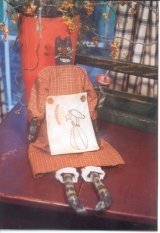 This mouse is constructed from wool felt tht has been painted and stained for that just out of the attic look. 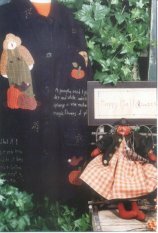 Stenciled stars dance upon her cape for added detail. 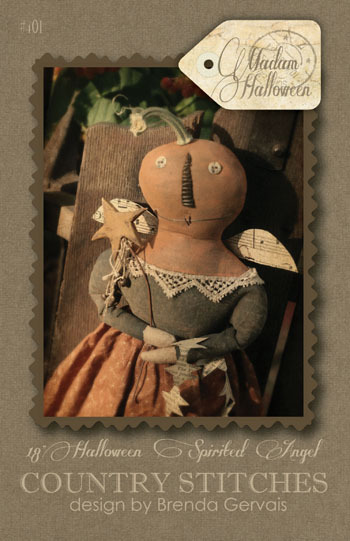 Her handbag is a great pumpkin that is filled with her favorite flower, Sweet Annie. 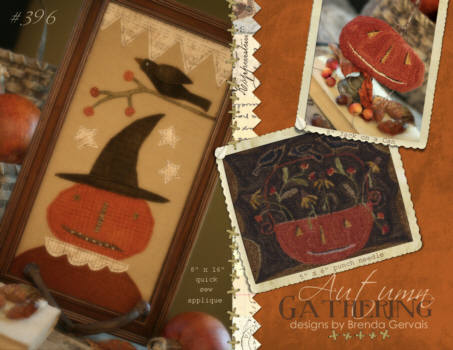 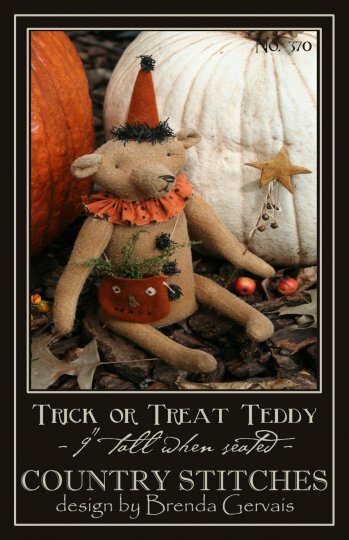 Oh what great fall colors in this Halloween pattern! 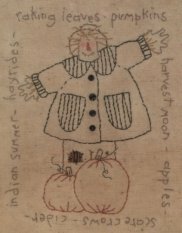 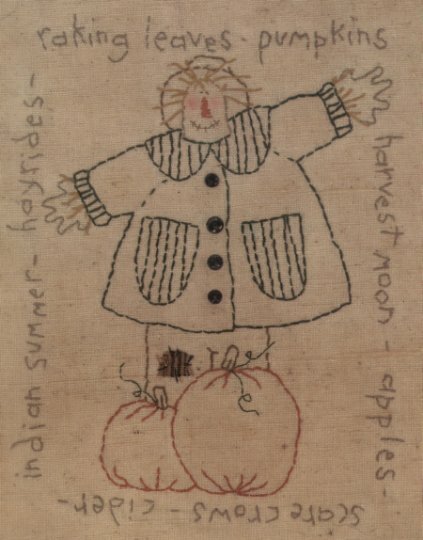 Pattern includes instructions for a 10 1/2" x 28" table rug that is constructed from hand-dyed wools. 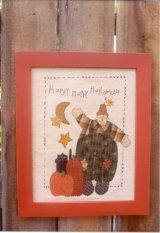 An easy to do project that you can finish in a day. 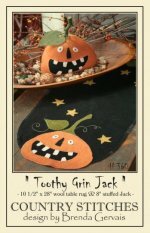 Also included is a fat, overstuffed 8" Jack decoration showing off his toothy grin! Great Halloween pattern...don't miss out! 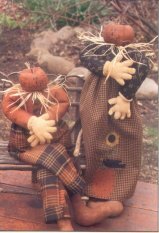 White Lumina pumpkins...one of my favorite Autumn decorations! 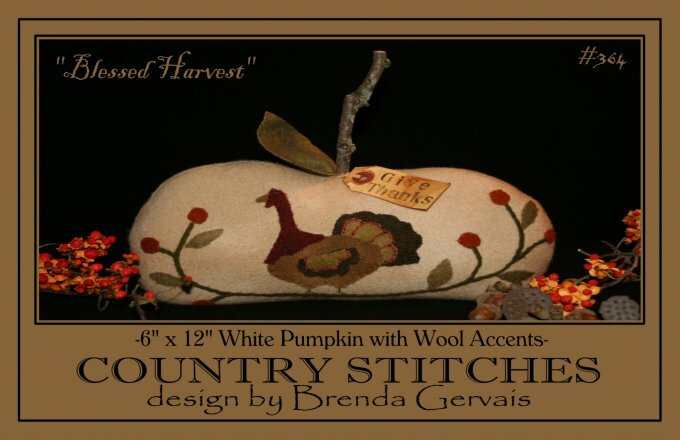 Great pattern for a 6" x 12" white wool pumpkin with turkey and bittersweet wool accents. Uniquely wonderful! 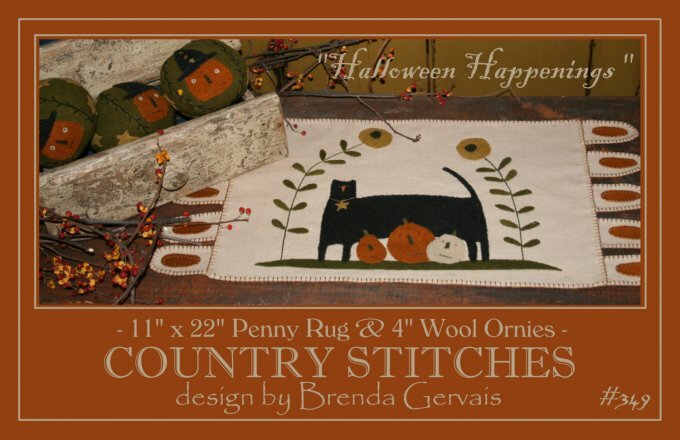 Pattern for an 11" x 22" penny rug and 4" wool bowl ornies. 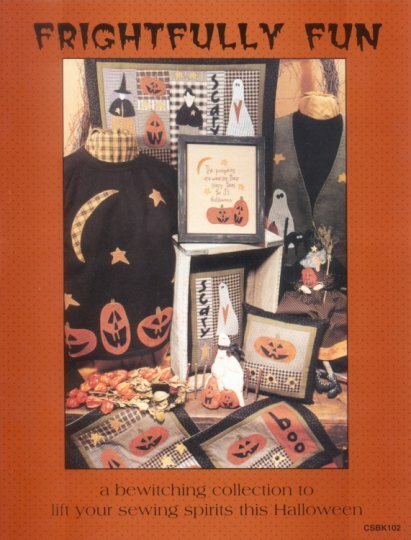 A favorite Halloween pattern! 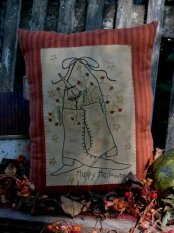 Pattern for two whimsical Halloween pillows. 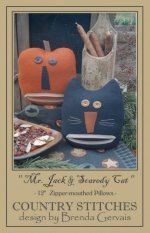 Pillows are stitched from wool felt, complete with button eyes and zippers for the mouths! Pattern for a great Halloween duo! 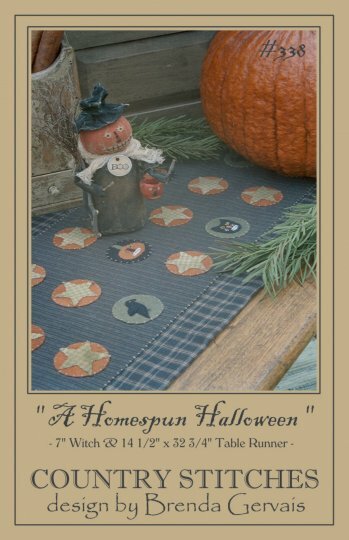 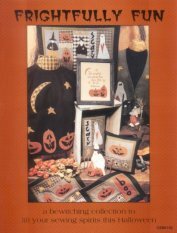 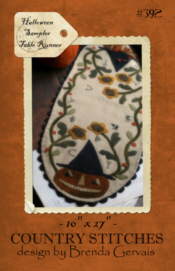 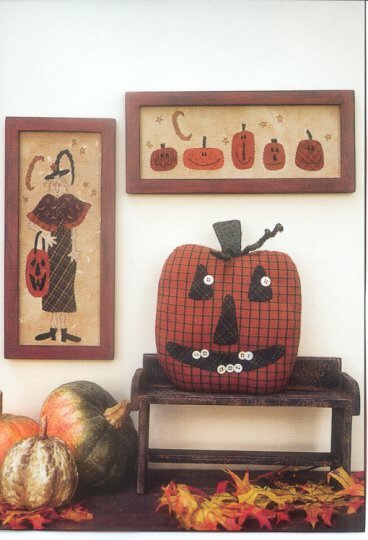 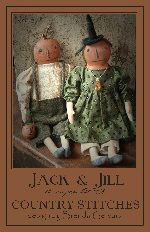 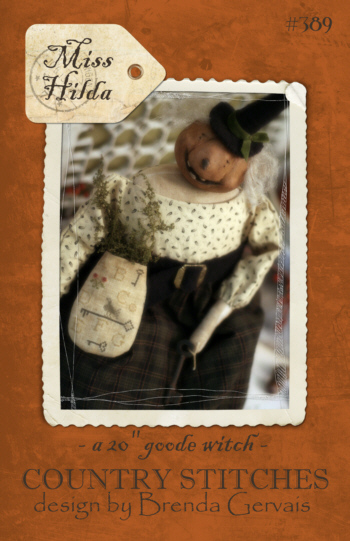 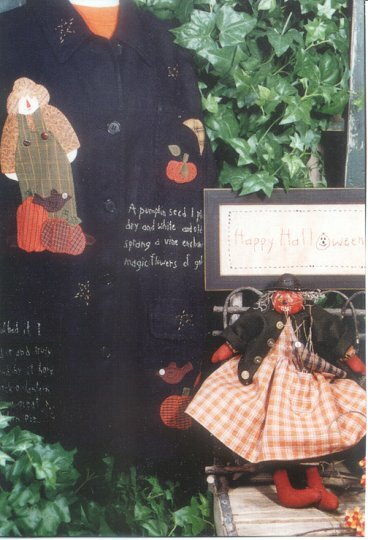 Pattern includes instructions for the 7" witch doll and a 14 1/2" x 32 3/4" appliqued table runner. 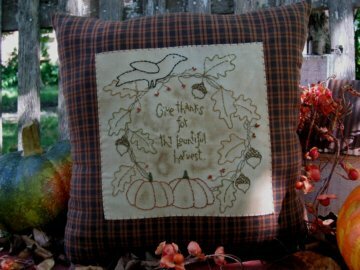 Pattern for a great autumn pillow. 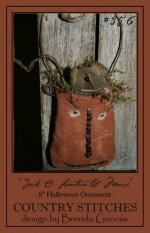 A grapevine wreath is entwined with acorns and oak leaves. 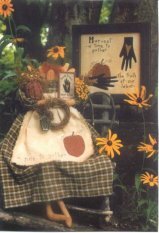 The last crow of summer is perched upon the wreath for added charm!